If you’re only going to try one thing from my book, Cooking for Geeks, I’d recommend sous vide—essentially ultra-low temperature poaching. By holding foods like eggs at precise temperatures, you can control which proteins will cook and which ones won’t. Perfect soft-poach egg? Perfect medium-rare steak? Perfect fish? These all become super-easy with sous vide. 1. First, the slow cooker. The slow cooker will serve as the brawn, holding the water and providing the heat source. Snag a cheap slow cooker—you need one that will turn back on after losing power. Look for one that has a physical knob; the digital ones reset and stay off after power has been cut and then restored. 2. Next, the thermocouple. If you have a standard kitchen probe thermometer (which you really should), the probe—long braided cable, metal probe—is a thermocouple. For a sous vide rig, you’ll need a type J thermocouple, which is made of materials that give it good sensitivity in the temperature ranges of sous vide cooking. This should cost around $15 to $20; search online for “type J probe” or search for part 3AEZ9 on www.grainger.com. 3. Finally, the temperature controller. Just about any thermocouple-based temperature switch will work; look for one that runs off 12 volts DC, such as Love Industries’ TCS-4030, which runs about $75. Snag a 12-volt wall wart (AC/DC power adaptor) while you’re at it. 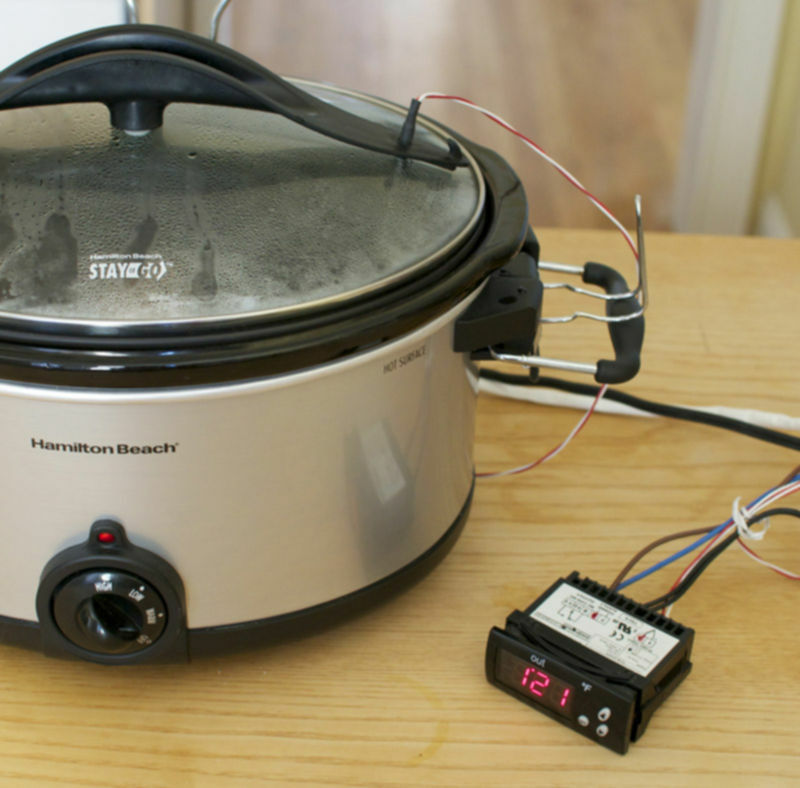 Once you have all the parts on hand, it’s a relatively straightforward procedure to perform the lobotomy on the slow cooker: hook the thermocouple up to the probe inputs on the switch and connect the 12-volt power supply to the switch, then snip the slow cooker’s electrical cord (or use an extension cord to preserve the original plug on the slow cooker) and run one side of it through the switch. If necessary, create a small hole in the lid of the slow cooker and poke the thermocouple through. Make sure you use enough water in the slow cooker that the thermocouple makes contact with the water when the lid is on! When you cook a piece of meat using a traditional method, you’re essentially steering two variables at the same time: internal temperature (to, say, 140°F) and external temperature (above ~310°F). It’s a balancing act, and timing and application of heat require attention. 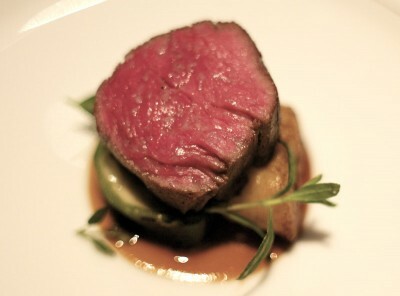 With sous vide, though, you essentially make these two variables independent. You cook the meat in an environment of 140°F, taking care of the internal temperature variable; and then finish it off in a super-hot environment to bring the outside surface up to 310°F—but without needing to wait for the interior to come up to temperature, because it’s already there. And because these two variables are now independent, you don’t have to worry about the timing, or about trying to hit the two temperatures at exactly the same time. That’s the magic of sous vide. Brief Update: It appears the thermostatic controller that I list in the book is out-of-stock for the next several months. If you don’t mind spending a little more money, you can buy a unit that has the thermocouple already connected from Auber Instruments.